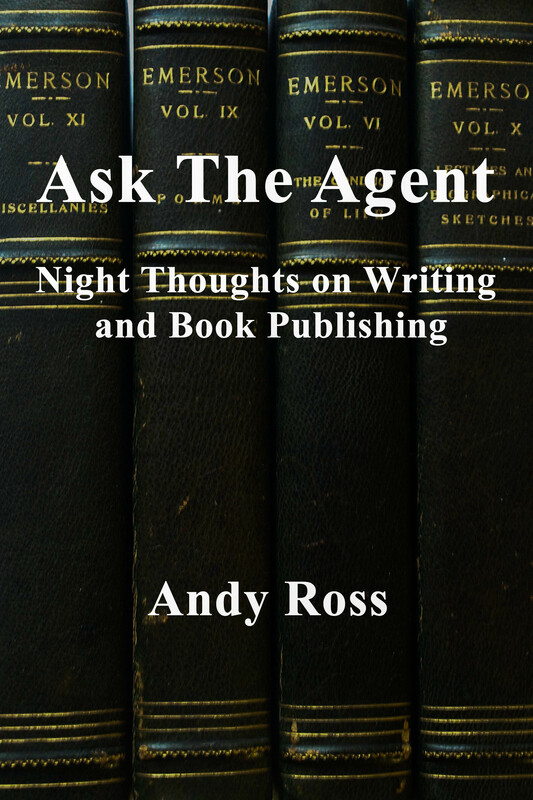 When I became a literary agent three years ago, I simply wasn’t ready for the flood of publisher rejection letters flowing into my office in response to my submissions. It felt a little like my social life in high school. I can only imagine the shame and humiliation that my clients must experience from these letters. Four years of work on a novel reduced to a single line, a formula really: “I just didn’t fall in love with it.” Or: “We all felt it didn’t quite have the right narrative arc.” I decided to engage in a mental exercise of employing the standard rejection templates as they might have been used for some of the great (or notorious) classics of Western Civilization. Thank you so much for submitting The Republic by Plato. Certainly this book has much to recommend it. It asks some serious questions and it doesn’t get bogged down in “jargon” like some of the philosophy books we see coming over the transom. That said, I am going to have to pass on this book. I’m not sure that the author has anything really new to say about the themes he discusses. The Good, the True, the Beautiful, and the Just have been written about ad nauseum since the time of the ancient Greeks. There is really no new way to slice and dice this material. And although Mr. Plato seems quite adept at dialogue, I can’t help but wonder how he would hold up in the face of tough questioning by the likes of Bill O’Reilly. I don’t quite know what to make of this book. Six hundred pages of narrative about people in a tuberculosis sanitarium on top of a mountain, and for twenty years? Really! I’m afraid that modern American readers need a little more action and excitement in their lives. They don’t want to come home and read about the over-ripe decadence of Central European culture in the early Twentieth Century. I certainly don’t mean to sound snarky, but in my humble opinion (and I have been known to be wrong before), Herr Mann is nothing but a gas bag. Thank you for your submission of Mr. Sophocles’ drama, Oedipus Rex. 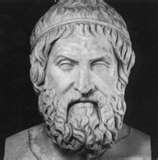 Sophocles is an exceptional dramatist with many fine works to his credit that have been both critical and commercial successes. And we feel privileged that you gave us the chance to consider this work. That said, I’m afraid we are not going to publish this book. Although I am a personal admirer of Mr. Sophocles, I feel that Oedipus is a minor work and, quite frankly, a little derivative. The implicit theme, the idea that “from suffering comes wisdom,” has become a little hackneyed and a little frayed at the edges, as it were. I think that after seeing James Cameron’s Avatar, there really isn’t much left to say on this subject. But we would be delighted to look at anything newer and fresher that Mr. Sophocles might create in the future. I’m sorry. I just don’t get it. Thank you for sending us Macbeth by William Shakespeare. Mr. Shakespeare certainly brings a fresh voice to the modern theatre and has a commendable mastery of plot and character. That said, I am not going to make an offer on this book. I think that Mr. Shakespeare has a certain inelegance of style and his language skills could use some refining. I also noticed a number of careless misspellings in this work. The extensive “scholarly” footnoting with its endless references to “folios” and “quartos” was annoying and distracting. I feel compelled to say, and I hope neither you nor your client take offense at this, that some of his “speeches” are just plain pretentious and not suited to the more casual sensibilities of our upscale readers. For instance: Macbeth says: “It is a tale told by an idiot, full of sound and fury, signifying nothing.” Don’t you think this could be stated more clearly and succinctly? How about: “Life is pretty confusing. Sometimes I just want to shake my head and cry.” Furthermore, I could not help but note an obvious unattributed locution from William Faulkner. Your author should try to be more careful. I am a big fan of Mr. Twain’s work. In fact, his novel, Huckleberry Finn, was one of the best books I read last season. So I approached your submission with considerable excitement. I’m sorry to say that I was not thrilled with Tom Sawyer. Compared to Mr. Twain’s other works, I felt that this was merely a bagatelle and perhaps a little (shall we say) jejune. Still I sent it around for some more reads and I took it to the editorial meeting. The sales director pointed out that all of Twain’s novels since Huckleberry Finn have shown steadily declining Bookscan numbers. He felt, and the committee agreed, that it was unlikely that the chains would take a position on this book. But I encourage you to show us any new projects the author might develop in the future. Thank you for your submission of Count Tolstoy’s War and Peace. I found it to be a very well researched and polished novel. And I can certainly see how it would appeal to the same readers who enjoy the works of Herman Wouk. But I am afraid that I won’t be making an offer. As you know, our imprint is always looking for quality genre fiction. And certainly War and Peace falls squarely within the conventions of the historical novel. But, just between you and me, this manuscript just isn’t ready for prime time. For starters, it is a real door-stopper. 1500 pages plus change! I think the author needs to face the facts that he could do with some judicious freelance editing. Our readers lead busy lives and are looking for a more, shall I say, intimate reading experience. If the author could cut the plot by, say, 900 pages; if, for example, he could take out the sub-plot of the Napoleonic invasion of Russia, we would be happy to review this submission again. I have to tell you that this one came pretty close. Personally, I loved this book. I took it to the editorial board. We almost had consensus. But the committee reluctantly decided to pass. There is much to admire in this book. We were impressed by the author’s passion, his strong sense of purpose, and his robust voice.. Some of us were moved to tears by the Youtube clips from the Nürnberg Parteitag rallys. Herr Hitler’s platform is most impressive, indeed. One of the editors said, only half jokingly, that it was too bad we couldn’t bottle Herr Hitler’s charisma and give it to some of our more pedestrian authors. And our marketing director was inspired by the book proposal that offered so many innovative marketing strategies. The concept of summarily executing any citizen of the Third Reich who didn’t purchase this book was refreshing and indicates that your client is a very savvy marketer. At the end of the day though, there was no agreement on how we could position this book in the marketplace. Some of us wanted to treat it as a kind of how-to book for people who were seeking to improve their public speaking and, at the same time, pick up some useful tips for world conquest. Others felt that the ideas were just a little too “weighty” for a trade house like ours. After some brain storming about possible merchandise spin-offs, we decided that we were the wrong home for this remarkable book. We wish Herr Hitler the best of luck in his career as a writer and as a public figure and expect to see great things from him in the future.